Discussions to express your inner nerd. Ah, missed your post. I am weak and this is the result...can't resist the fascination of having 25 watch faces to swap out. Cr@p..a 600Kb pic is too large? What am I doing wrong - I wanted to share a pic of the HW2 on my wrist. Last edited by Ipse on Sat Feb 16, 2019 12:39 pm, edited 2 times in total. 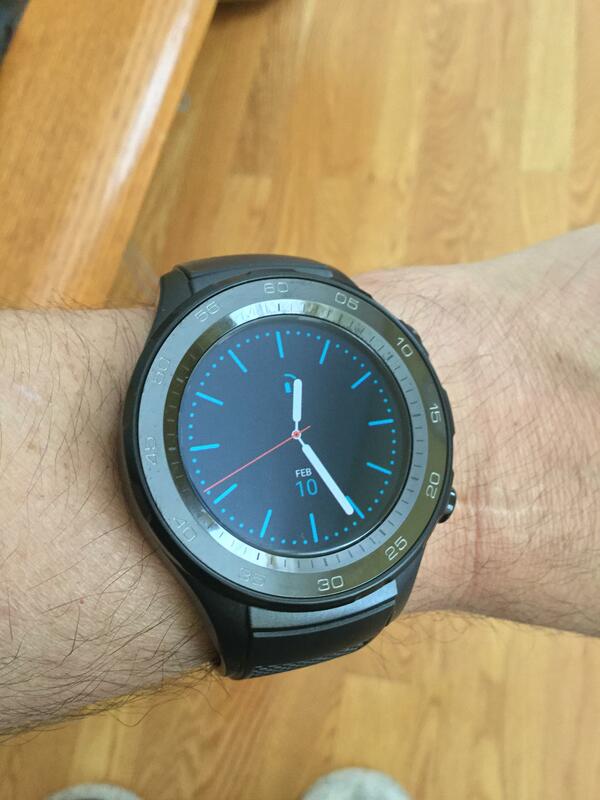 After a Samsung Galaxy Neo, a Pebble Time and a Samsung Fit2 now I have a Huawei Watch 2 THAT IS STILL IN THE BOX sealed...can't bring myself to even look at it. Good thing I got it for free with the phone, as I came to realize that smart watches are not as smart and not as fun to wear as they are touted. Hmm. Should be fine. Try using the Imgur uploader. It's the "i" with a green dot icon on the menu bar (if you are on desktop). That worked, thanks. BTW : what is the limit on regular attachments? Usually it's 2MB for jpegs on most forum platforms. That's what it is here as well. My smart watch is actually what got me into mechanical watches. Didn't wear a watch from college until I was in my early 30s. Then got an original Pebble and wore it for a year or two. After it came out they were not going to support it post Fitbit sale, I looked into getting a real watch -- initially interested in Daniel Wellington, ugh -- and the rest is history. Wish I saw this thread earlier, but I used to be obsessed with smartwatches. And like others, they are in fact what brought me into "real" watches. I have used dozens of different ones, and actually helped samsung with a beta program for their very first smartwatch in 2013-2014 - the Galaxy Gear. I still have that watch, its a work of art how they fit everything into it, even a camera on the strap! I have too many watches, yet here I am buying more. I was after a watch I could wear to bed which had a silent alarm. I used a Alpina HSW, but it was just too big for me so I sold it. I was after something else, but I didn't need all the smart crap. At the same time, I didn't want something that look like a home-detention bracelet (e.g. fitbit HR). Unfortunately, I found a lot of the smart watches were 45mm, which are just too big for me. However, I then came across the Huawei Honor Magic Watch. It's not quite a smart watch, but more like a Garmin (has silent alarm, timer, GPS, step counter, ABC, work-out tracking, heart-rate monitoring, notifications via BT) - but you can't download applications. For me, I didn't need the apps - to be honest, I just use the silent alarm, timer and flash-light (!). For me (because I've turned GPS, notifications and heart-rate monitoring off) it lasts 7 days on a full charge. Also, it's 42mm and is less than 10mm thick, so the profile is right-on. And it has the looks a Tag Heuer Modular. Oh and it's not expensive. Just one to consider if you have a similar use case to me.